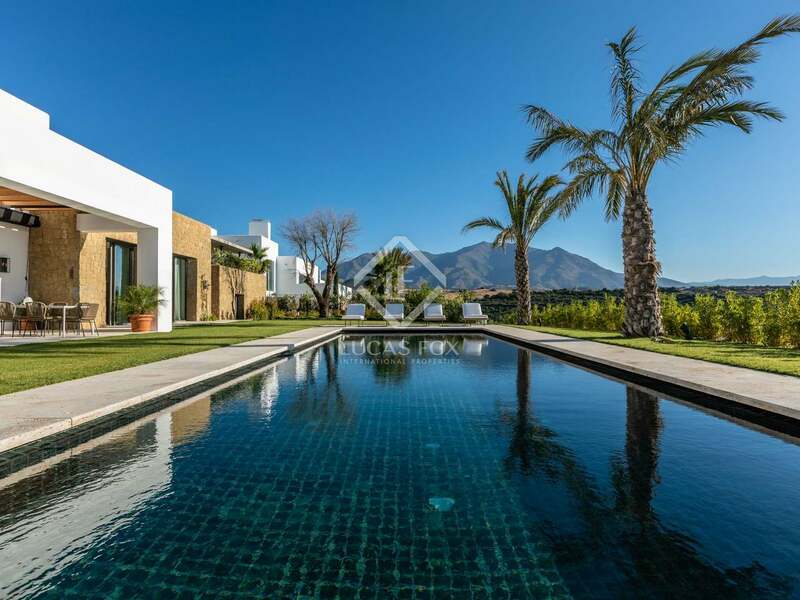 Stunning golf villas with amazing views and exclusive hotel services for sale in Estepona. 16 luxury lifestyle properties to buy within this exclusive Estepona golf resort; each with private gardens and pools. 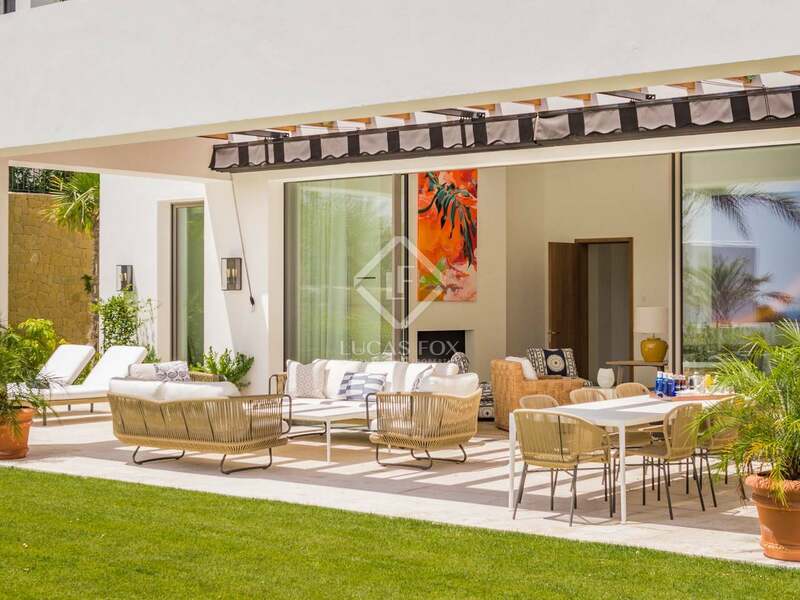 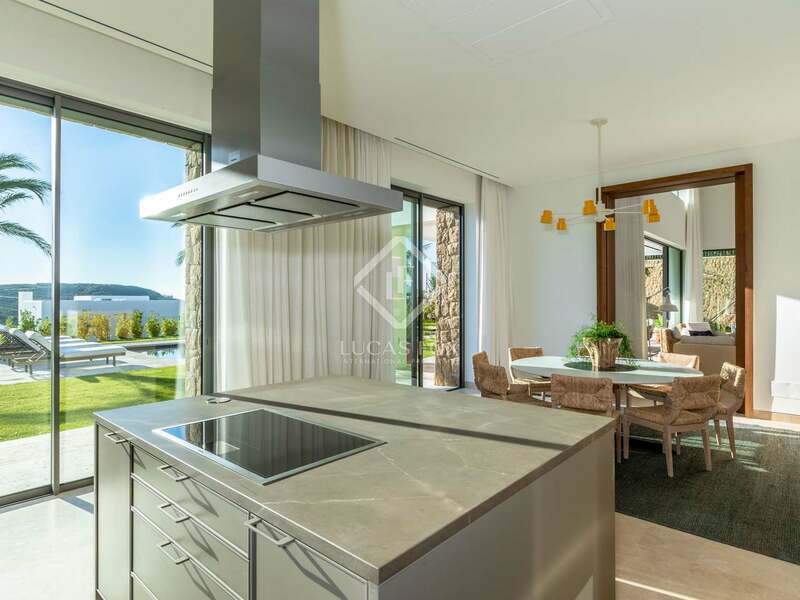 This exclusive new development in Estepona, just 5 minutes from the beach and a short drive from Marbella, Puerto Banus and Sotogrande, is offering 16 luxury villas in a peaceful setting with stunning golf and mountain views and 24-hour security. 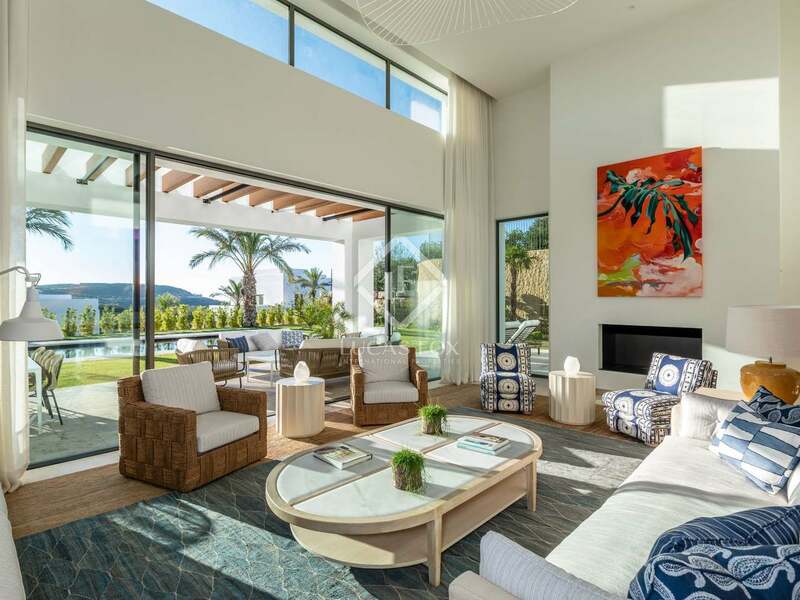 Acquiring a property here means enjoying access to the services at the resort's Hotel & Golf Club which is one of the top resorts in Spain and one of the top 50 in the world for client services. 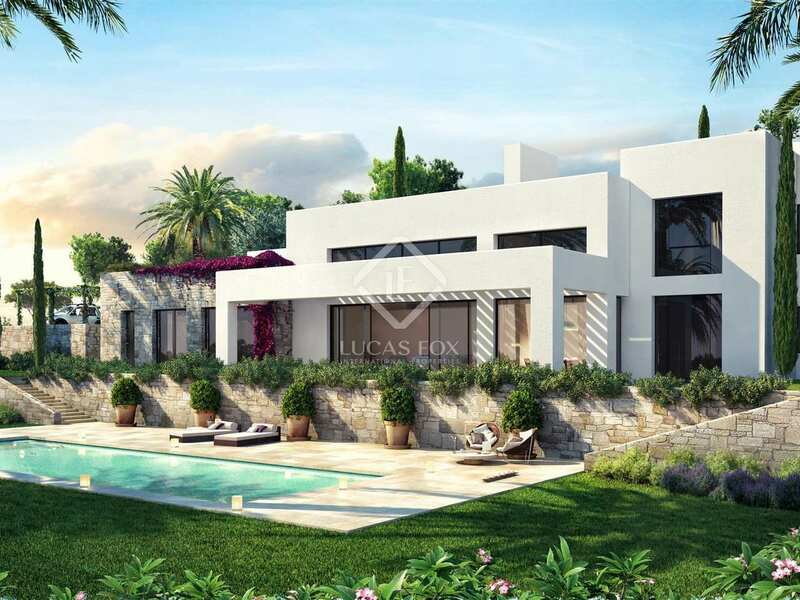 Furthermore, the golf course is the venue for PGA tours so it is of the highest standards. 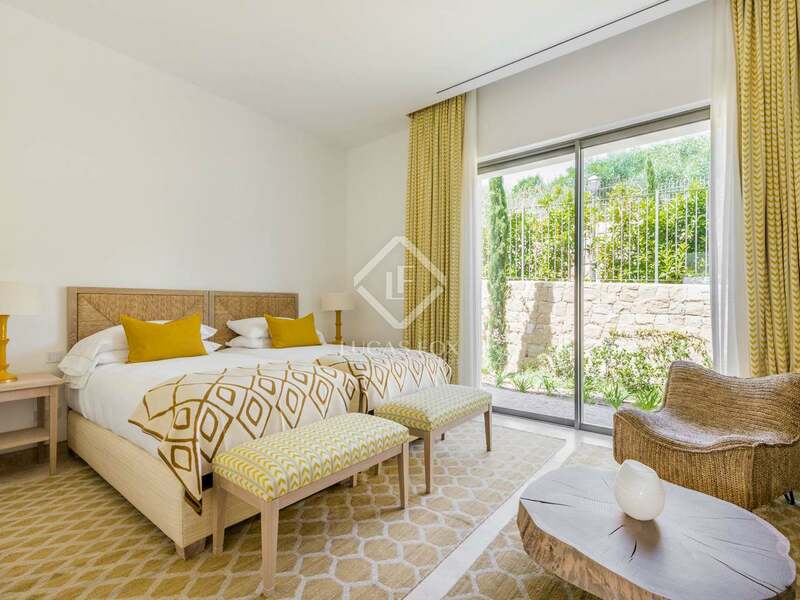 There are 2 unit types available which all share a common concept but offer different sizes, number of bedrooms and unique deigns and layouts. 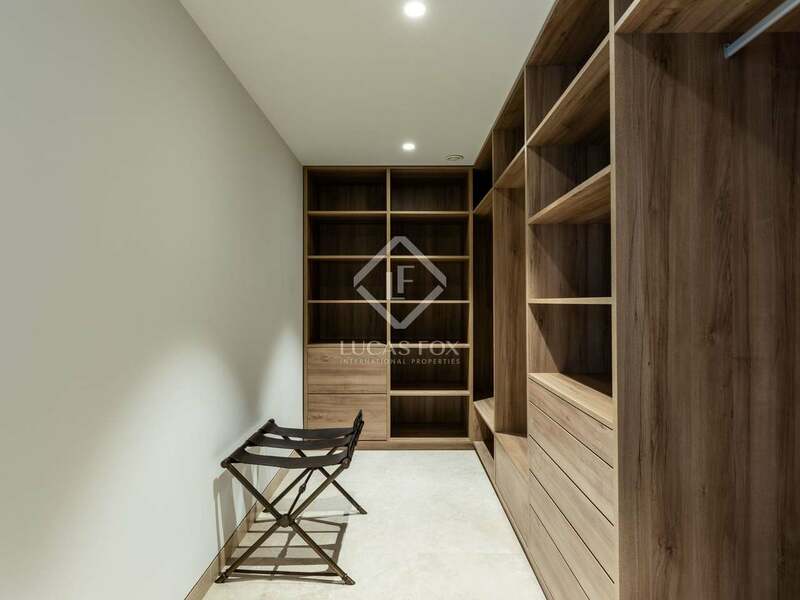 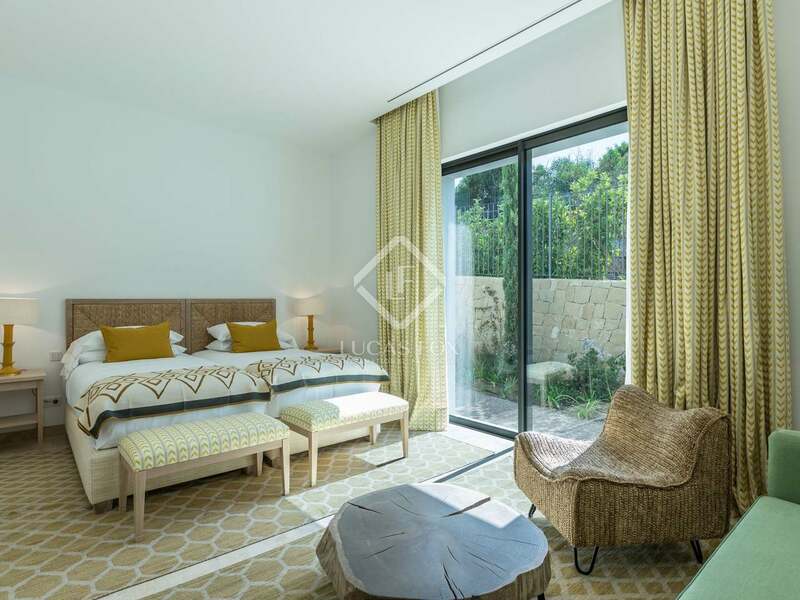 There are 5 and 6-ensuite bedroom properties with living rooms measuring up to 90 m² with 5 metre high ceilings, fully equipped modern kitchens, staff quarters and parking facilities for 2 cars. 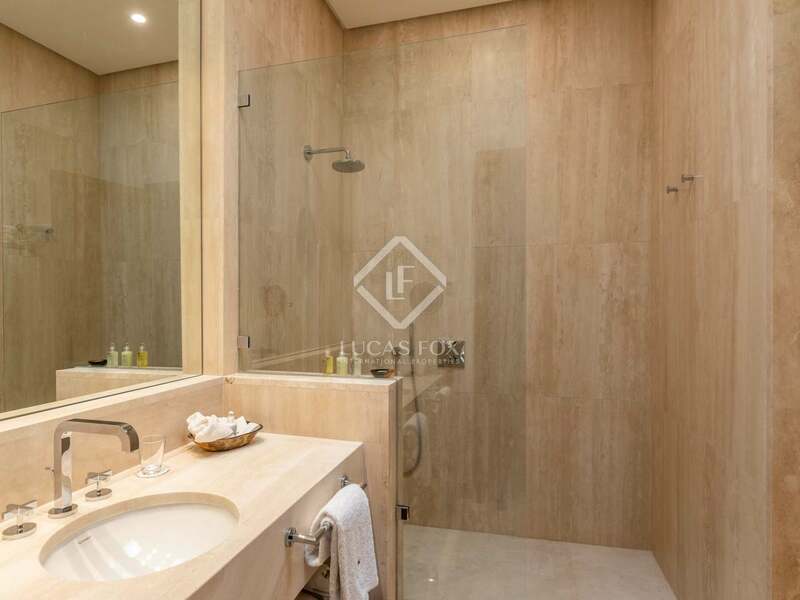 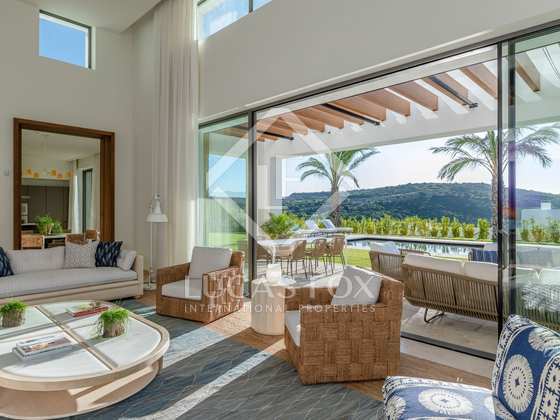 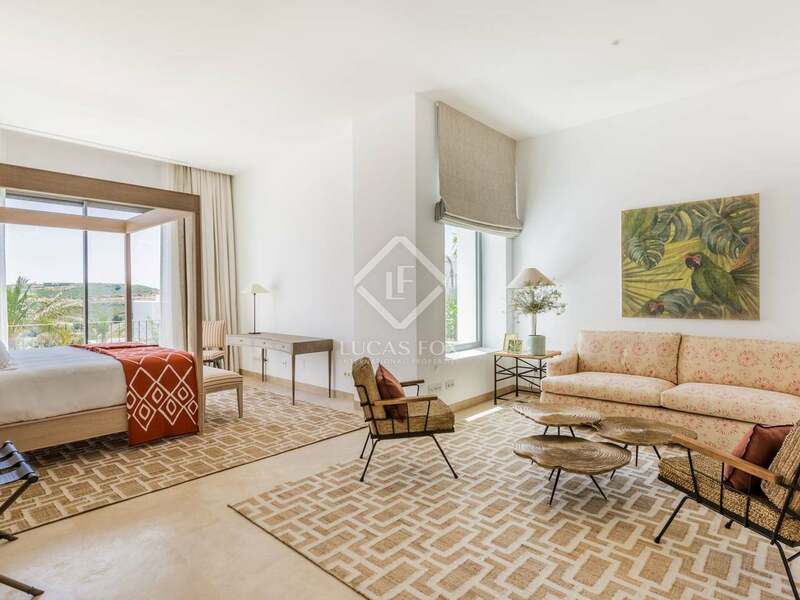 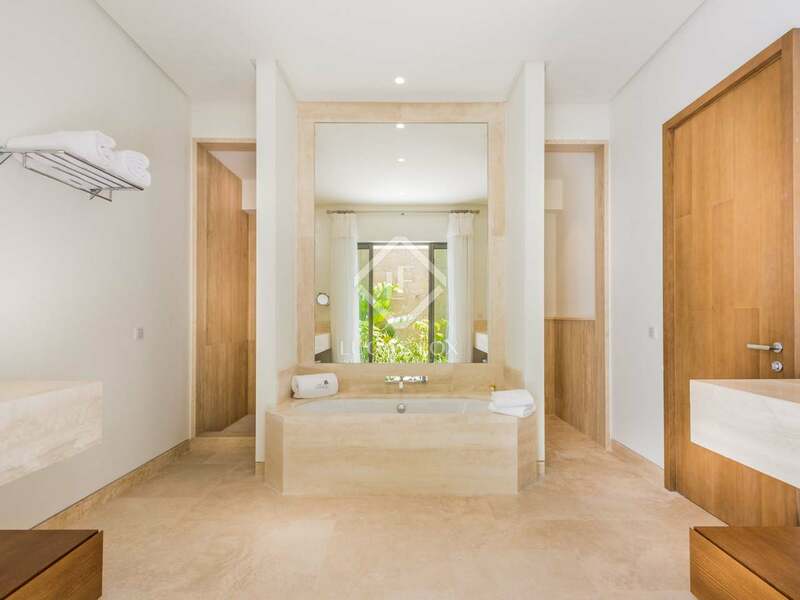 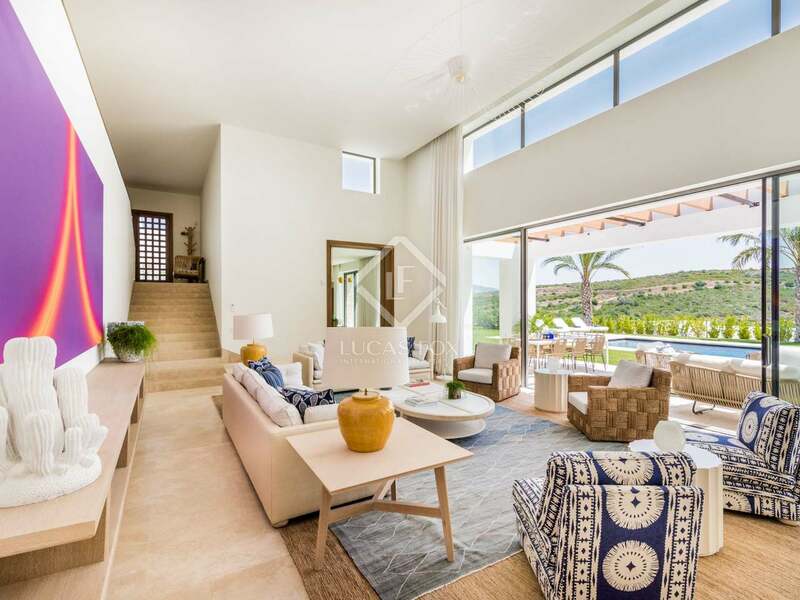 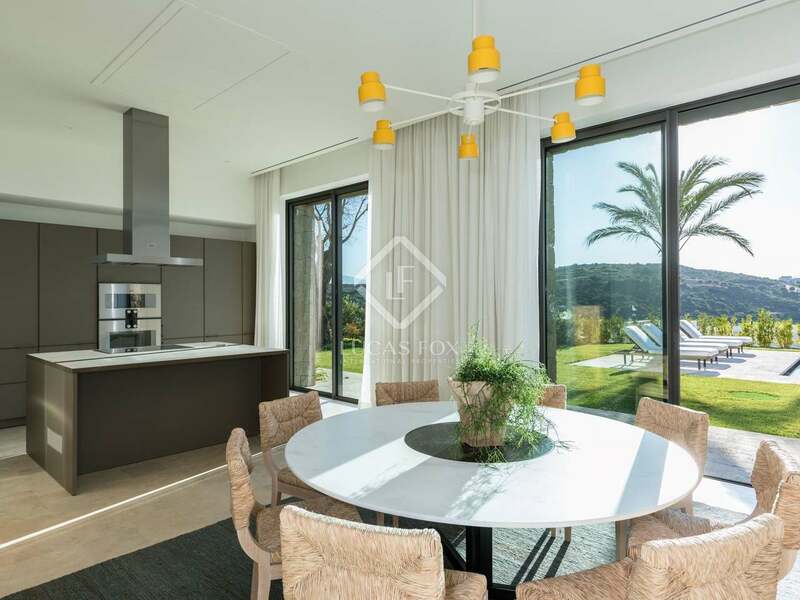 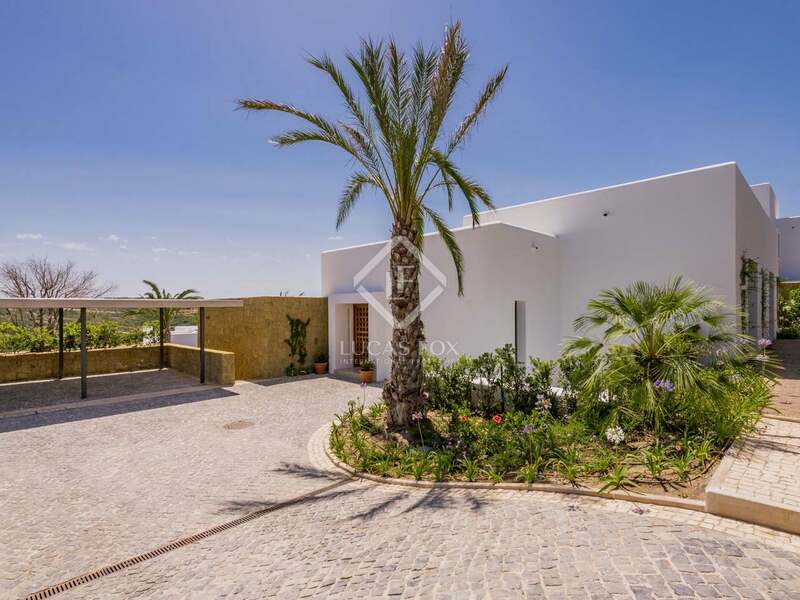 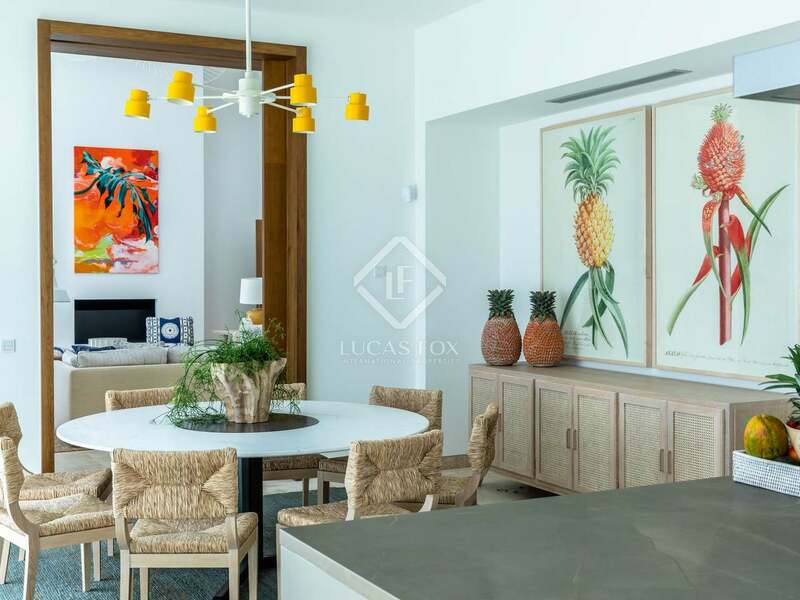 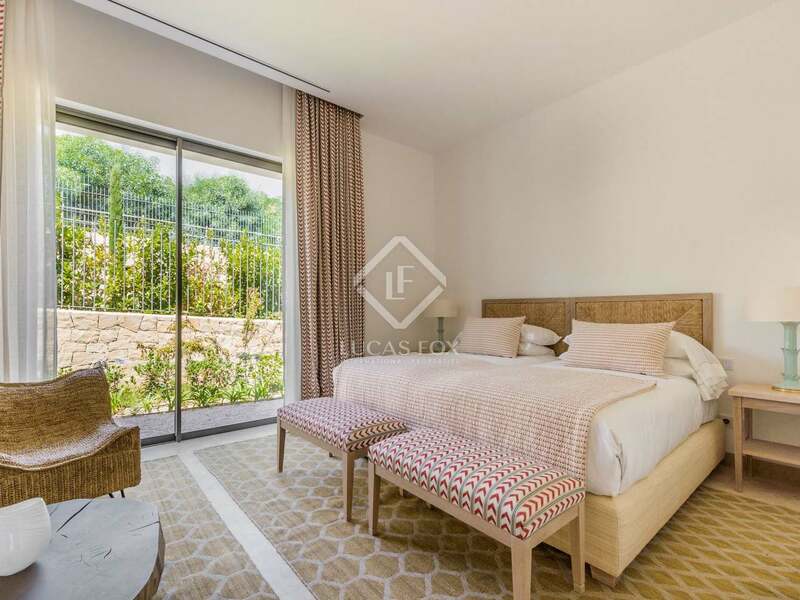 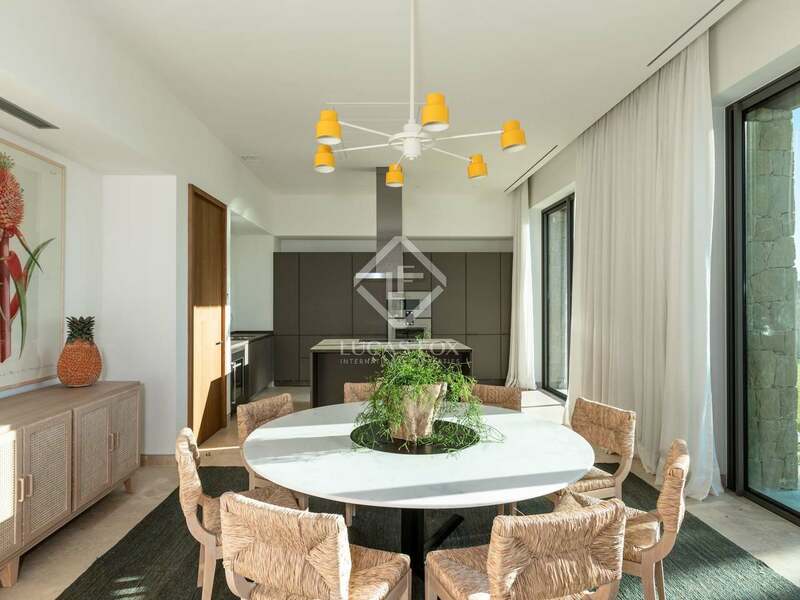 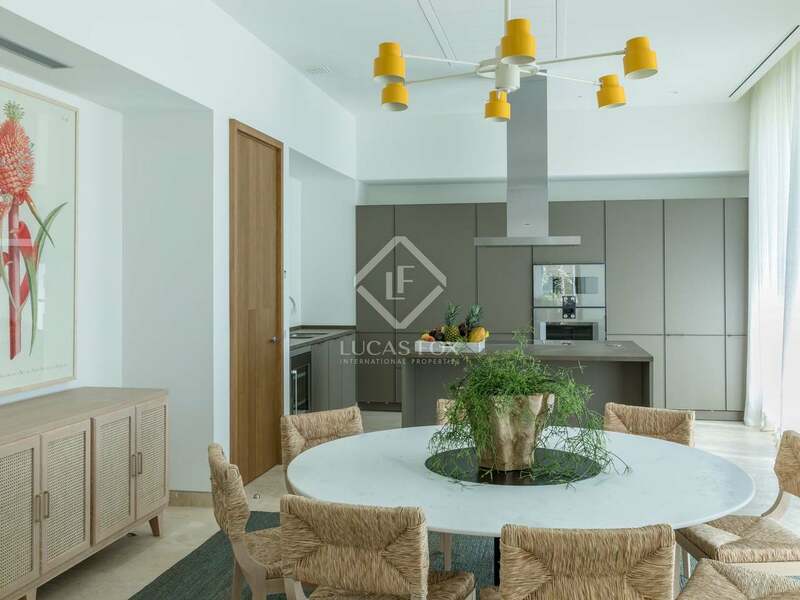 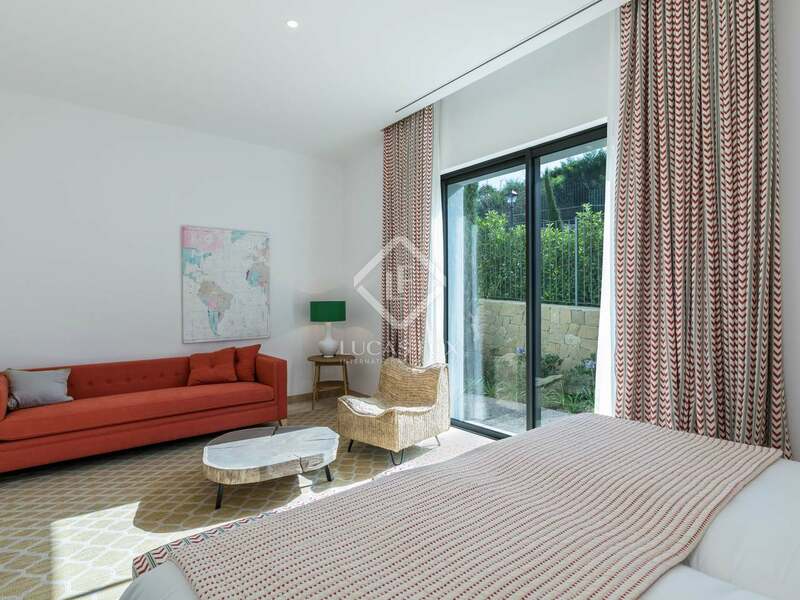 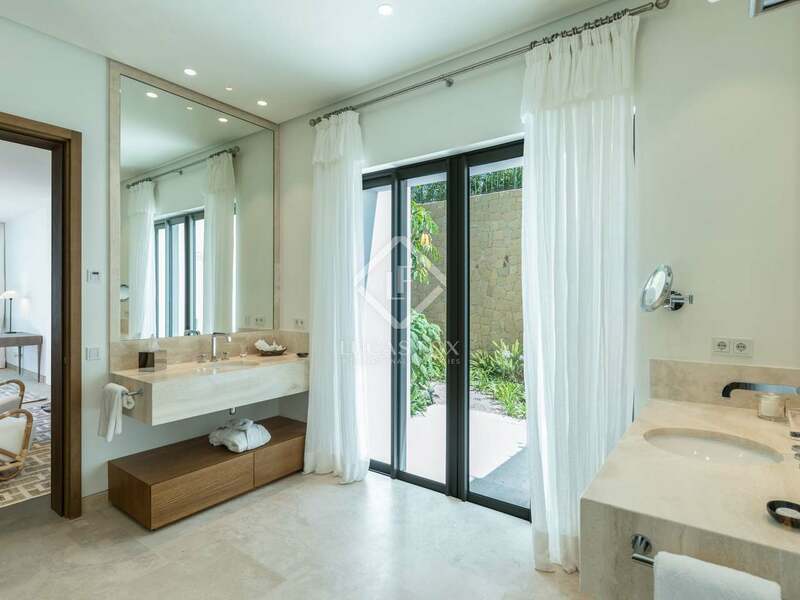 All properties boast beautiful views of the golf course, Sierra Bermeja mountains or the sea and have the highest quality finishes such as travertine marble floors, oak interior woodwork and lacquered grey aluminium joinery. 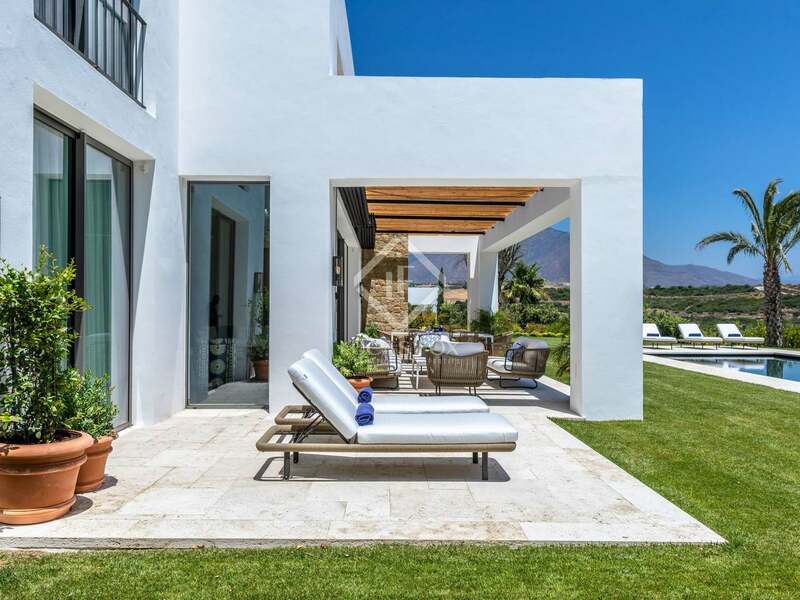 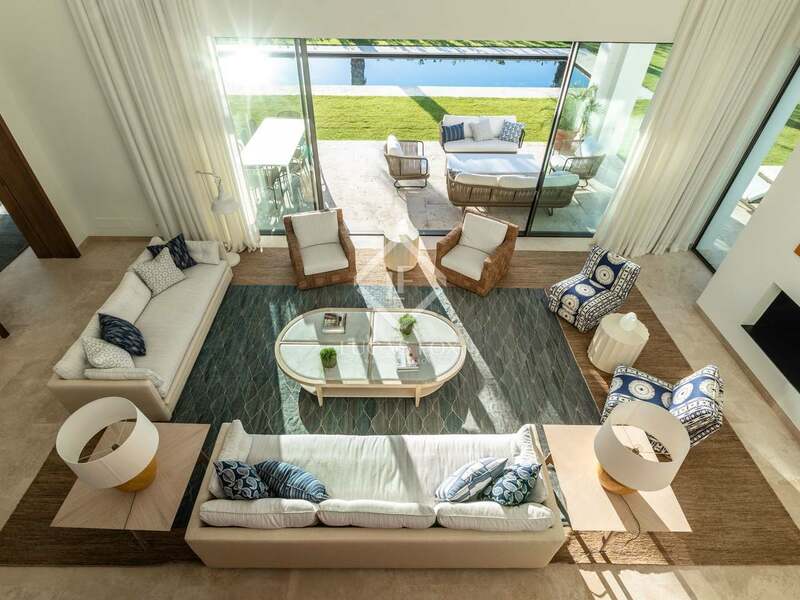 Each and every property shall be delivered with a private landscaped gardens with a pool, covered and uncovered terraces and a variety of local and subtropical plants that are well suited to the sunny climate of the Costa del Sol. 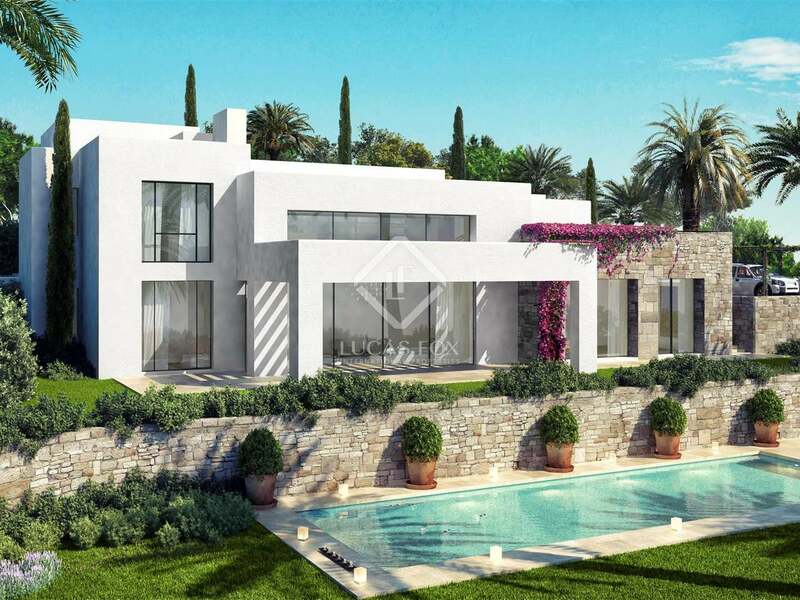 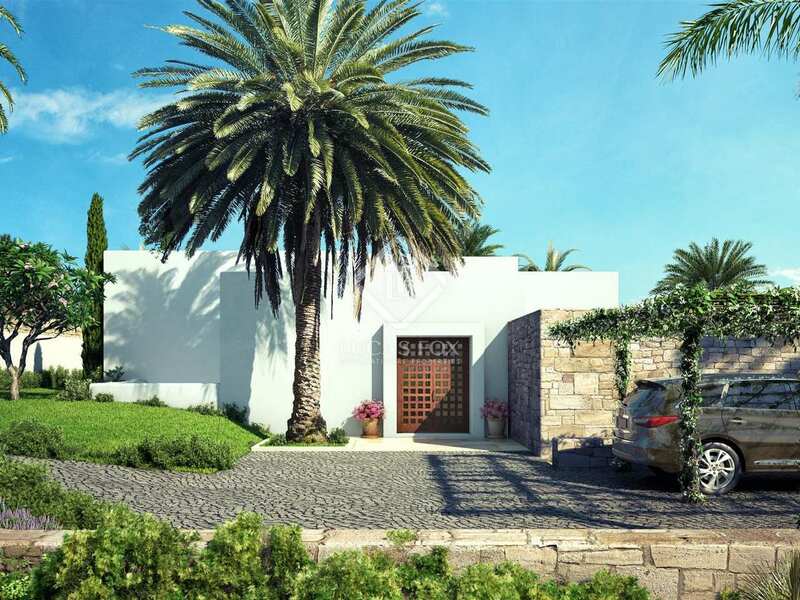 Plot sizes range from 1,571 m² to 2,183 m² and the villas have a built area of 601 m² to 725 m². 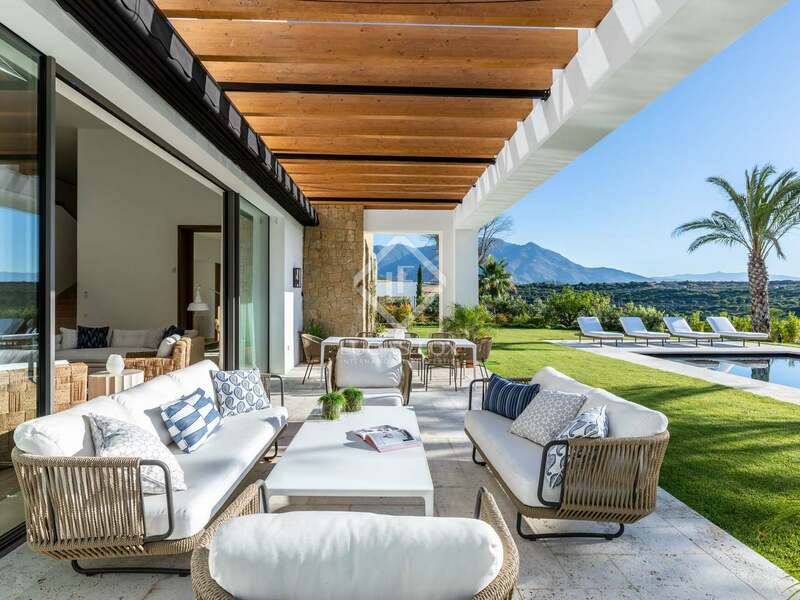 An excellent opportunity to acquire a luxury lifestyle villa with access to a world class hotel and golf resort in Estepona.